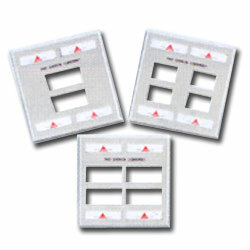 Double Gang Stainless Steel Faceplate is for use with flat and angled MAX modules. Brushed finish on plates mask minor scratches and scuffs that may occur during day-to-day usage. Includes mounting screws.